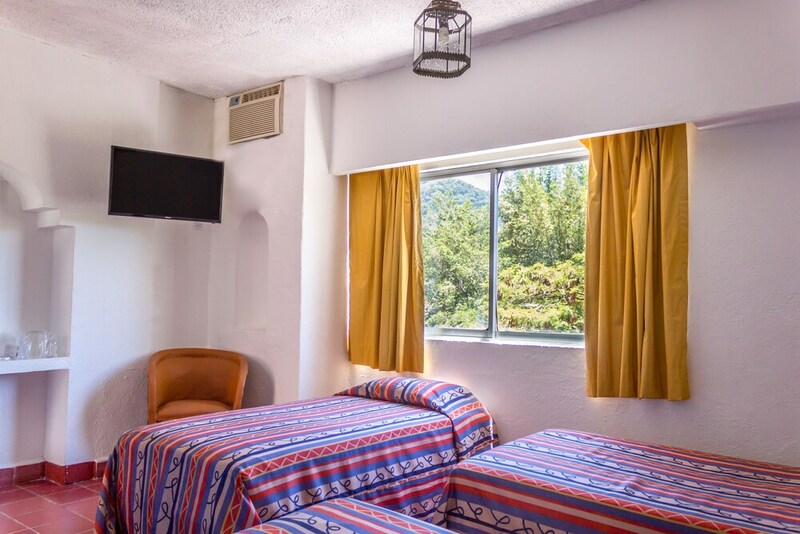 A stay at Hotel Encino places you in the heart of Puerto Vallarta, within a 15-minute walk of Playa de los Muertos and Malecon. This hotel is 3.9 mi (6.2 km) from Cruise Ship Terminal and 6.2 mi (10 km) from Bay of Banderas. The hotel offers a restaurant and a coffee shop/café. Guests can unwind with a drink at one of the hotel's bars, which include a poolside bar and a bar/lounge. Wireless Internet access is complimentary. This Puerto Vallarta hotel also offers an outdoor pool, tour/ticket assistance, and coffee/tea in a common area. Hotel Encino is a smoke-free property. Hotel Encino has a restaurant on site.